Gobble is all about quick and easy meal preparation. The three most notable things about the Gobble meal kit delivery service is the convenience, the cost-effectiveness, and the ease of meal preparation. They also make the standout promise that all their meals take only 15 minutes to cook! What is really appealing about Gobble is that all the ingredients come portioned, peeled, chopped and marinated. This is done to ensure that your cooking experiences with Gobble will be as trouble free as possible. Our team experienced a range of the Gobble meal kits and we all thought that they were easy to cook. Not only that, the process was enjoyable, and we loved eating the meals! Gobble is most suitable for a busy working couples or people who are running a full house with minimal spare time. 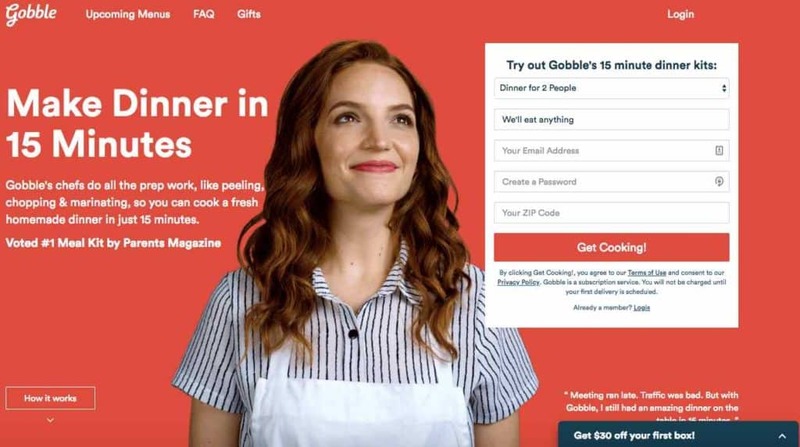 Gobble is also very appealing to people who simply don’t like spending a long time in the kitchen but who still want to enjoy great home cooked meals. Two-person plan: with a two-person plan you will receive six meals every week (that’s three different dishes that are perfectly portioned for two people to enjoy). Four-person plan: with a four-person plan you will receive 12 meals every week (that’s three different dishes perfectly portioned for four people to enjoy). Lunch Box plan: The new lunch box service is a monthly subscription. Each week you will receive a box of 3 double healthy and delicious lunch meal recipes, designed to be ready in 90 seconds during your weekend, so you will have grab-and-go lunches for your busy work week. Getting started with Gobble is super easy. All you need to do is sign up to the Gobble service via their website. Next, you choose your plan and select whatever you’d like to eat from their menu that contains an amazing 24 dishes. This selection includes meals that are child friendly, gluten free or dairy free. Once you have made your selections, you will receive a labeled carton box with all your meal kits conveniently packed for easy storage. The last step is simply to follow the easy-to-follow and quick recipes, and that’s it! Bon-Appetit! It is important to note that with Gobble you get full flexibility with the option to skip weeks if necessary and you can also swap recipes as well. You can cancel the subscription at any time, so it is a matter of only ordering what you want, when you want it, with no daunting commitments. Gobble changes its menu on a weekly basis, offering a diverse number of 24 dishes every week. The menu is very comfortably divided into four main sections. These are ‘From the Range’, ‘From the Ranch’, ‘From the Sea’, and ‘From the Earth’, with each section including six dishes. The categorization is based on the protein source of the dish, so it is very easy to know which meals feature poultry, meat, fish and seafood, and which ones are planet based. 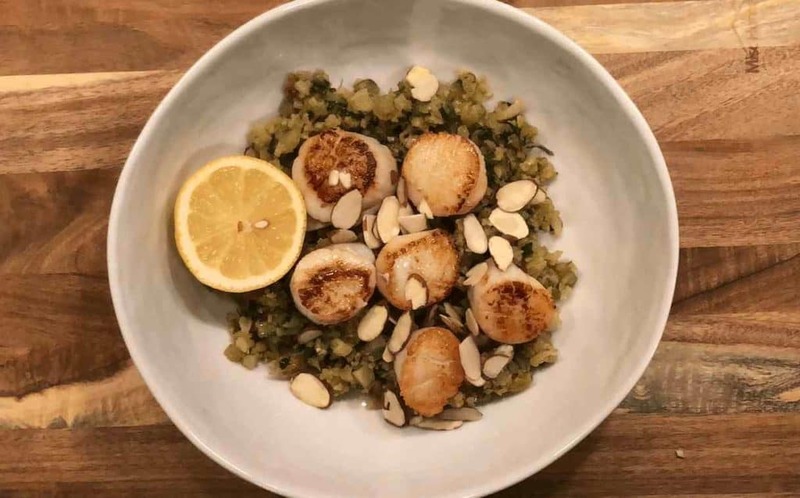 Every week, the Gobble menu includes several recipes that are child friendly, and you can also find dairy free, low carb and gluten free meals on their weekly menu. 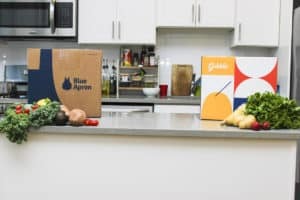 Gobble deliver their meal kits in specially designed and labeled carton boxes. With Gobble all of your ingredients are prepared and portioned so there is almost no sorting required, and it is just a matter of storing the meal kits away until you are ready to use them. In the Gobble box the cooled items are comfortably placed in the bottom with an appropriate amount of ice, which ensures that the boxes can stay outside for a few hours without requiring refrigeration. From our team’s experience, it seems that Gobble sources great local and farm-fresh ingredients. From produce to vegetables to proteins to pastas – Gobble will deliver the same ingredients from the purveyors and farmers as used by first class restaurants. 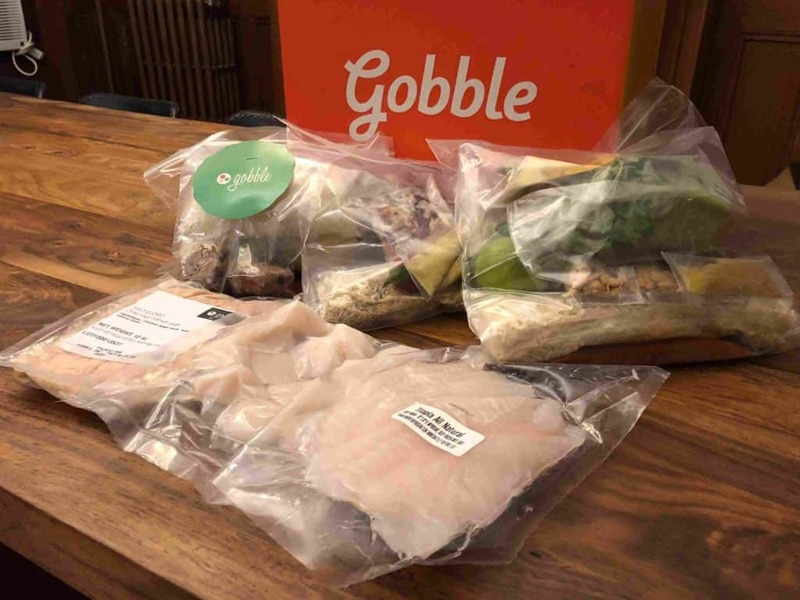 Gobble, unlike many other meal kit services, send most of their ingredients partly cooked, or cut and vacuum sealed in special packaging to preserve freshness, taste, and quality of all the items. Most meals range from 700 – 900 calories per servings. Gobble offer a user-friendly website, but they do not have an app as the website is mobile optimized. Basically, everything you need to do to manage your subscription can be done online. You can register to the service, select your plan and desired meals for the weeks ahead and create a meal plan that comes with the flexibility to change at any time. You can also specify your dietary preferences, change your payment method and cancel your account. Our team made some changes to their order on the website and it was very easy to do. You can also find all the information you need on each dish, including the list of ingredients, nutritional facts, cooking processes, cooking times and more. 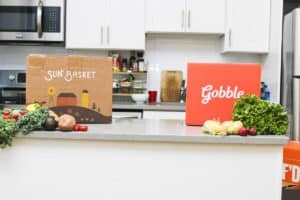 Gobble is a great meal kit service to use when you want life to be easy and would love to be able to cook delicious dinners in a short amount of time, without going to the grocery store or having to prepare ingredients for cooking. You can get three or more chef designed evening meals every week at an affordable price and enjoy restaurant quality food at home. This can include child friendly, dairy free or gluten free meals. So, if you have no spare time, yet love to eat delicious home cooked meals, then Gobble is the meal kit service for you.